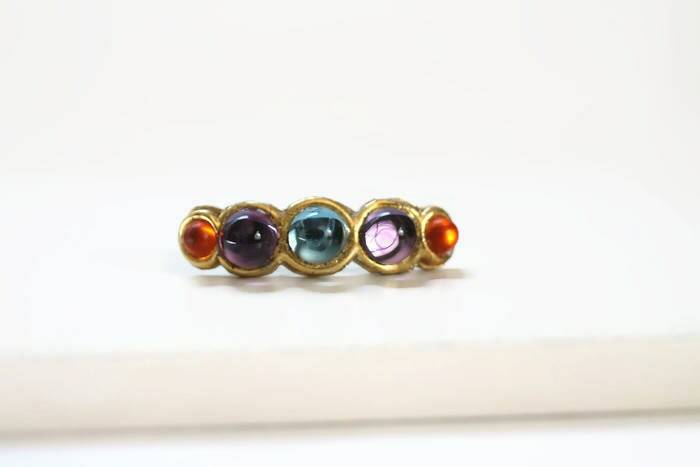 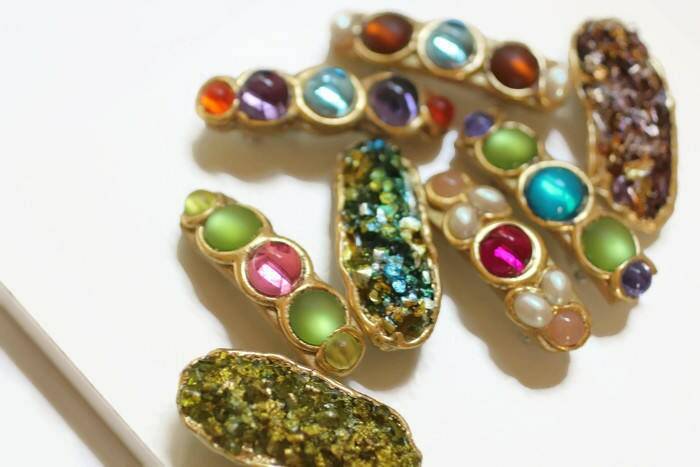 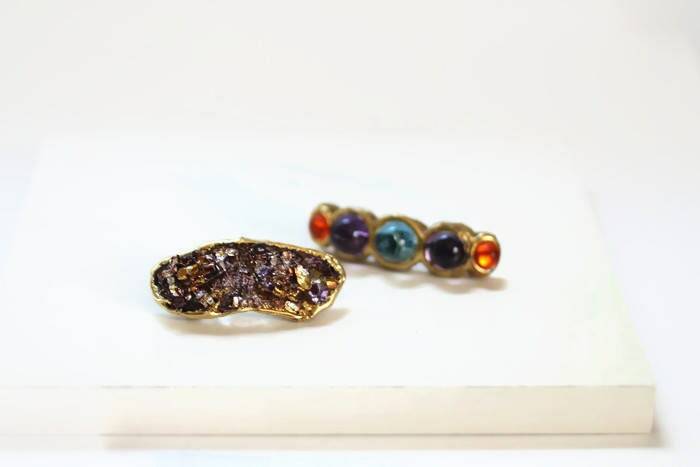 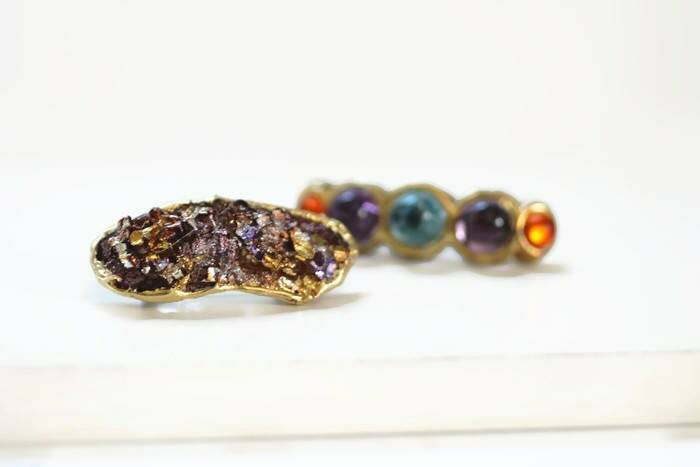 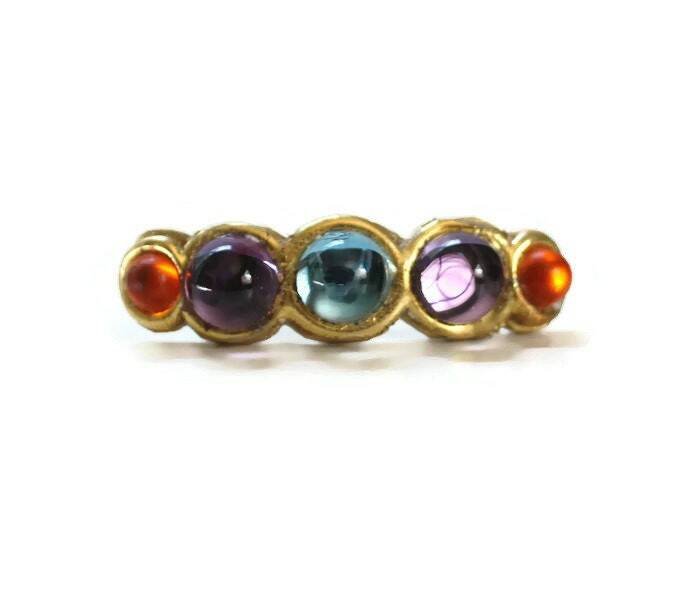 Mini Hair Clip with Aqua,Amethyst and Burnt Orange Stones in 24 kt. 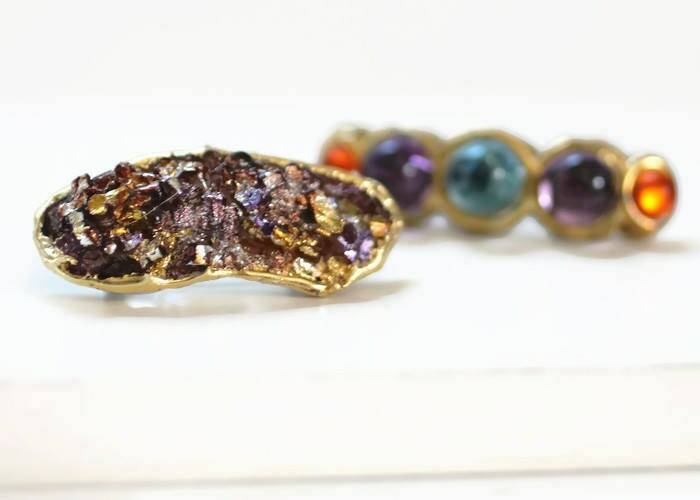 Gold Leaf Settings. 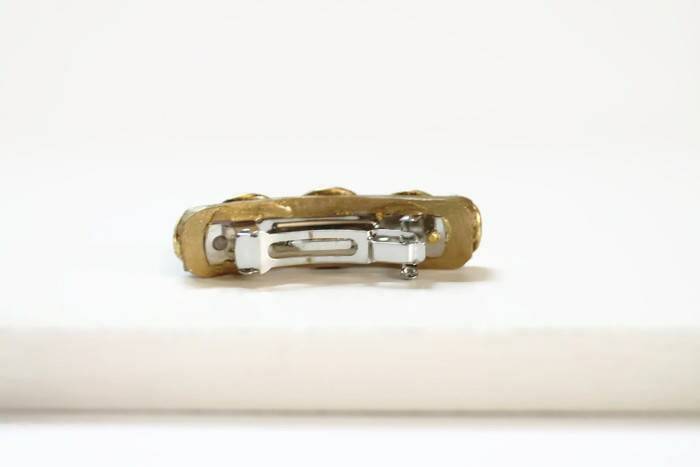 Each Clip Measures about 2" x 3/8". 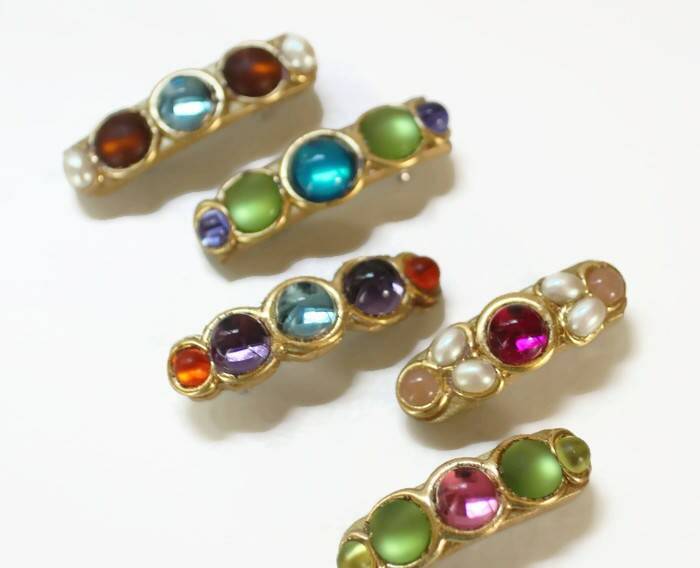 Wear these alone as a beautiful piece of jewelry for your hair or pair them and mix them with some of our other mini clips.